Ample volunteers are present along entire 1 mile route. Parents please do not run with or pace your child due to safety of all participants. Spectator viewing is available along the course. 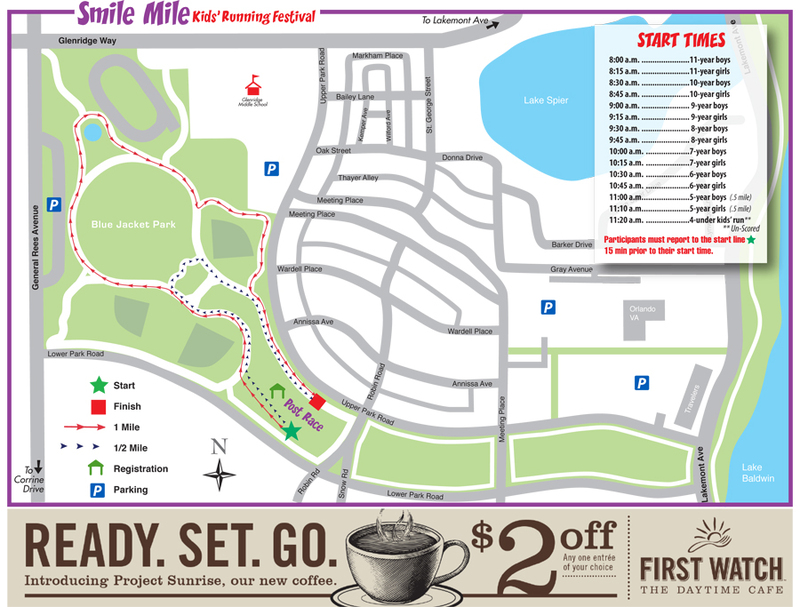 Use Facebook to Leave a Comment on Smile Mile - 96% FULL - We'd love to hear from you!